Is it your imagination or does it feel like your ponytail is getting a little thinner? Are you being paranoid or do you feel like there are suddenly more hairs on your pillow when you wake up in the morning? If you’re starting to wonder, there’s a good chance that yes, you are experiencing hair loss. This is something you can actually expect to happen as you get older if you’re genetically predisposed to it. Genes aside, there are lots of reasons as to why women experience hair fall and these can range from your hormones to your health. If it’s something you’re experiencing, it’s always important to know why because often, if you treat the cause, you can stop or mitigate the shedding. Ever wonder why women tend to grow a luscious mane during pregnancy only to lose much of it post-partum? Your hormones are intrinsically linked to hair growth in that oestrogen will keep your hair in the growing phase for longer while androgen shortens its growth cycle. 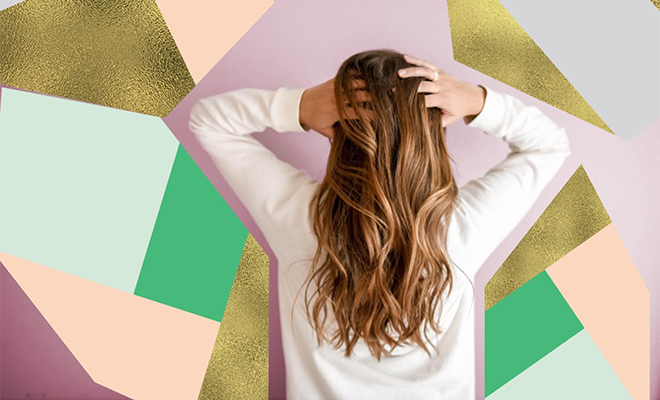 This is why it’s important to keep them in check and be aware of the fact that hormonal conditions like polycystic ovarian syndrome can cause hair loss. Medical conditions like leaky gut or ringworm infection of the scalp, lupus, hypothyroidism and diabetes are just a few of many that can cause hair fall. Whether the condition is temporary or chronic, you’ll want to take action as soon as possible to limit the damage. While it’s certainly the main culprit, a poor diet isn’t always the cause of a nutritional deficiency. Many women, for example, have a vitamin B12 and iron deficiency due to the inability to absorb it properly. Both these nutrients are required to create healthy red blood cells that feed oxygen to your scalp so if you’re deficient it could easily be the reason for your thinning hair. Doctors aren’t 100-percent sure as to why, but it’s been noted that a sudden drop in weight can trigger a hair shedding session that’s only seen up to three months later. When you’re stressed out your body releases androgen and cortisol. An excess of both hormones can trigger hair loss. Interestingly, having too little cortisol can also act as the catalyst for a shed. There are lots of things you can do to prevent and mitigate hair fall but it’s important to first identify the underlying cause and that’s something the doctors at The Renewal Institute can help you with. Treating hair loss often begin with taking supplements such as our own-branded Body Renewal Hair Loss Pack that includes our Opti Nutrition shake and Hair Plus Caps. Proven topical treatments can go a long way towards helping manage hair fall. Minoxidil, for example, encourages new hair growth, keeps the hair in its growth phase for longer (so it grows longer) and widens the follicle to create thicker strands. Yes, there are prescription medications that can help with hair loss. Finasteride (sold under the brand name Propecia), is a prime example. It prevents testosterone from converting into dihydrotestosterone (DHT), the hormone that shrinks your hair follicles. Carboxytherapy involves microinjecting carbon dioxide (CO2) gas into your skin. It turbo-boosts circulation and can stimulate the growth of new capillaries so, treating your scalp, is a can help encourage optimal hair growth. Mesotherapy is another treatment that makes use of microinjections but in this case you’re delivering a liquid, not a gas. In the case of treating hair loss, we use it to give your scalp a dose of our hair rejuvenating blend that contains growth factors and vitamins as well as amino and nucleic acids. A Photo Dynamic Therapy session is a quick and painless way to improve scalp circulation as it simply exposes it to various combinations of light proven to get your blood flowing. It’s a great way to compliment the efficacy of a topical treatment like Minoxidil. Want to get the nutrients essential to hair growth directly into your blood stream? Our Hair Loss and Hair Growth IV infusion treatment contains glutathione, vitamins C and the B complex, selenium and zinc – a potent mix chosen especially for their positive effects on hair growth. No woman wants to experience hair loss but if you’re beginning to notice more hairs in your brush then now is the time to take action. If you make an appointment to see one of the doctors at Renewal Institute they’ll be able to figure out the underlying cause for your hair fall as well as create a personalised 3D treatment plan. The sooner you start, the better chance you’ll have of preventing further hair loss and might even be able to create a lusher, thicker-looking head of hair than what you started with. So don’t delay – good hair days can be yours for the taking! I have problems losing my hair. I would like to try skin renewal facials. Thank you for the helpful information, I struggle with hair loss and I think it can be because of my hormones. thanks for the info. I seem to be having a problem with hair loss.